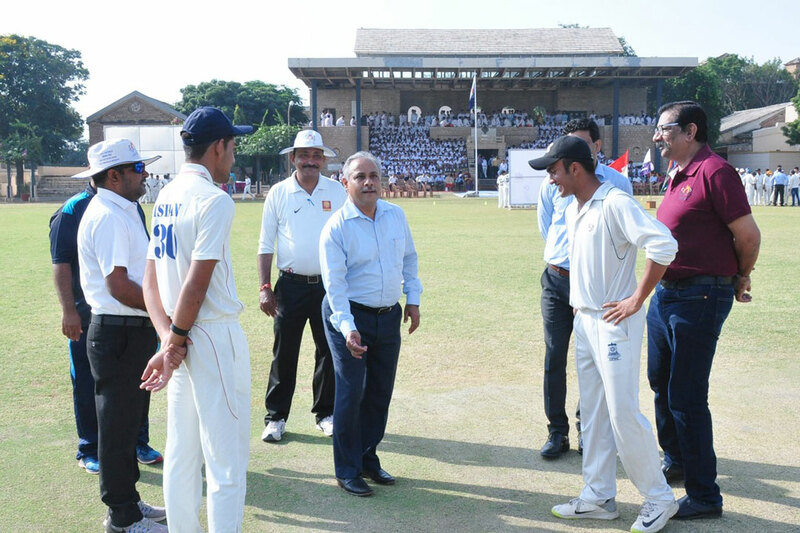 The Opening Ceremony of the prestigious Triangular Series for Cricket, famously known as “Kishengarh Trophy” was organised on Wednesday, the 10th of October 2018. The Principal, Dr Madhav Deo Saraswat in his address to the participants mentioned that these opportunities shall be utilised to build a stronger sense of camaraderie between three top residential schools of the country. He expressed his heartfelt gratitude to the head of the Daly College, Indore and Mayo College, Ajmer for making it possible to revive the age old event and also announced that this would be taken to the next level by including Hockey and Football to it. Dr Saraswat suggested the teams to participate in the tournament in the true spirit of sportsmanship and carry along long lasting friendships and memories for life.